Today, we're going to take a quick look at some long term charts. The first is the Dow Jones Industrial Average Ordinary Mediocre (INDU-OM). 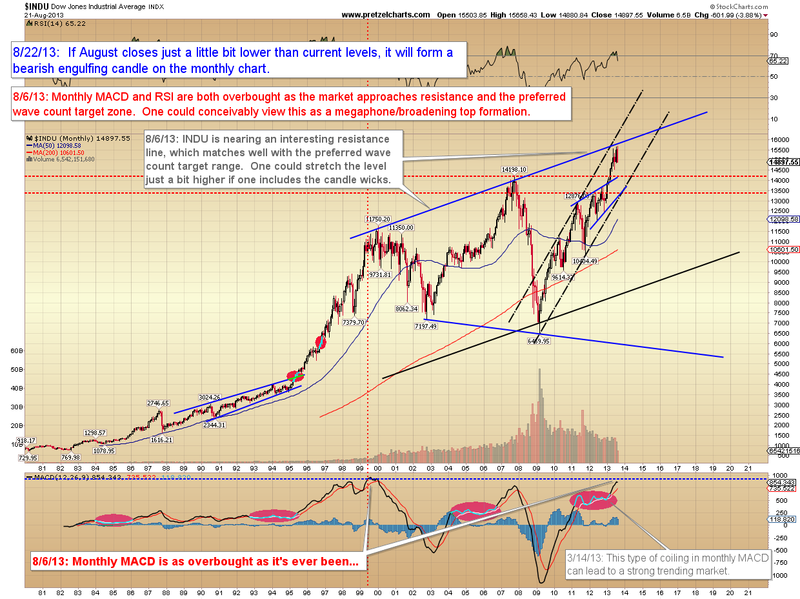 If INDU doesn't find support soon, it will leave a very bearish candle on the monthly chart. Next is the Filthy-delphia Bank Index (BKX), which also needs to find support here, in order to stave off disaster. 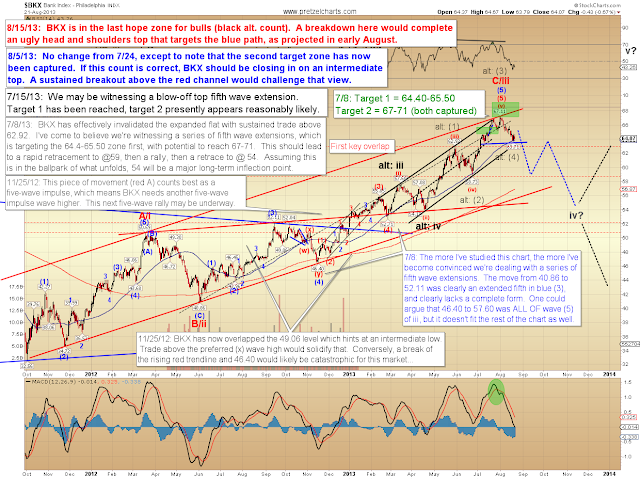 Note the alternate count in black is still viable, since the wave (1) high remains unbroken. I'm seeing mixed signals in the near-term charts. The decline appears to have formed a clean abc or 123 now, which means the market may have started a larger retracement rally yesterday, and bulls still have potential for a stick save to new highs. 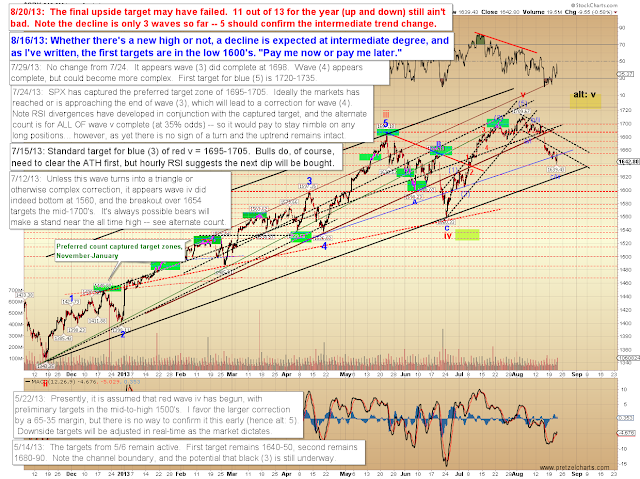 Trade below yesterday's low would begin to hint at a five wave decline, while trade above yesterday's high would suggest a larger retracement rally underway. 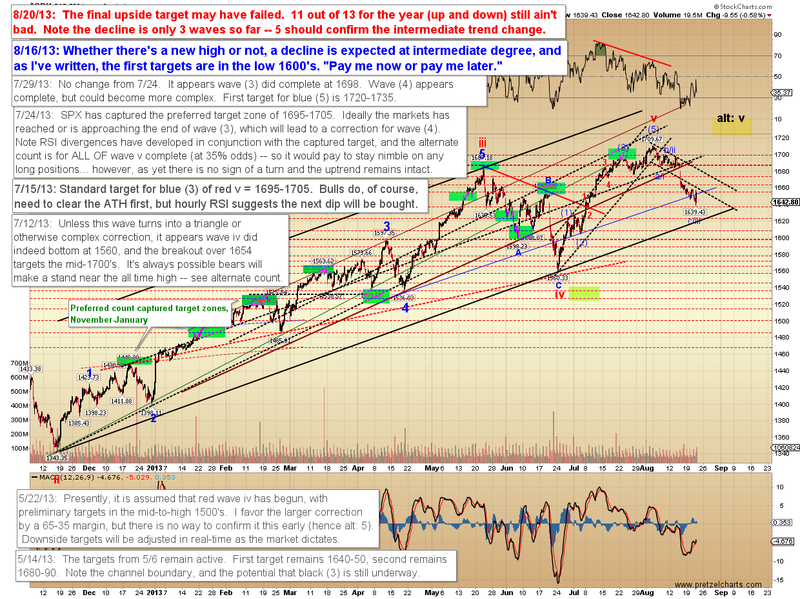 In conclusion, the market has reached an potential inflection point, and could put together a larger rally from here. Trade safe.